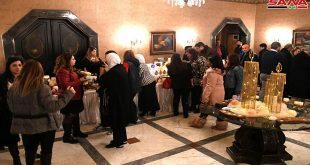 Aleppo, SANA – An exhibition for traditional handicrafts was opened as part of the 10th Woman and Family festival’s activities with the aim of shedding light on the creativity and innovation of Aleppo women. 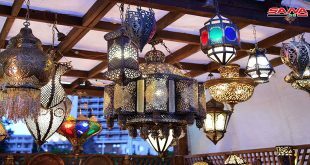 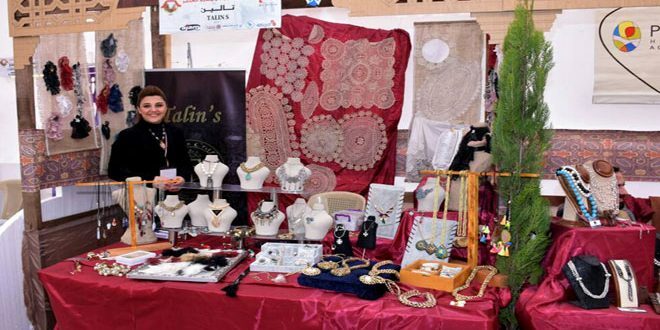 The exhibition, organized by the Businesswomen Committee of Aleppo Chamber of Commerce, consists of 122 pavilions showcasing traditional products, clothes, embroideries, accessories and sweets. 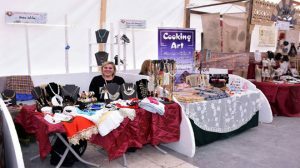 More than 180 participants, the majority of whom are businesswomen, are taking part in this significant socio-economic event which highlights the important role of women as real partners in the development process and the activation of the economic and commercial motion side by side with men. 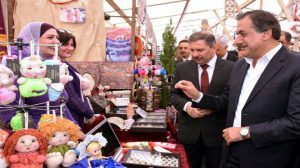 The exhibition provides an opportunity to know more about cultural heritage and renowned traditional handicrafts in Aleppo city such as chocolate-making and hand-crafted carpets. 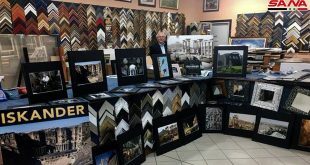 The participants stressed that organizing the exhibition against the backdrop of Aleppo Citadel sends a message of steadfastness and determination to remain strong, rebuild what has been destroyed and revitalize the old markets which was affected by terrorism.